When you are looking to buy a pressure washer, then Britclean is the first choice for pressure washer sales. We sell and hire out pressure washers of all varieties, and with 40 years of experience behind us you can be assured that we have the right machine to meet your cleaning requirements. 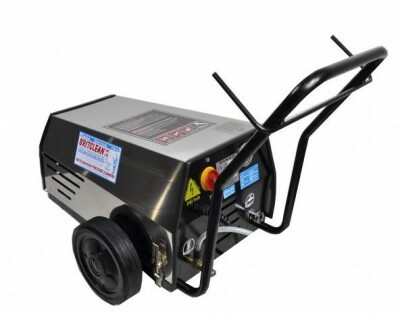 Whether you are looking for a small commercial pressure washer which provides a spray of cold water for occasional use, or a powerful petrol or diesel driven machine for heavy use in places without a power supply. We’ve got everything you need. We stock all the famous names in our pressure washer sales department. The range of cleaning options that we have is second to none. From cold spray and hot spray or the capability to add detergents at the press of a button. You’ll find Karcher, Nilfisk, Ehrle, Interpump, and our own manufactured Britclean branded pressure washers to choose from. There are <atitle=”Reconditioned Pressure Washers” href=”https://www.britclean.co.uk/reconditioned/”>reconditioned models if you’re looking for a great value and performance. Should you have specific requirements then we can also custom build pressure washers to ensure you get exactly what you need. Keep your home or business sparkling clean with a pressure washer from Britclean. There’s no hard sell at Britclean with our pressure washer sales. We are a family run business who are here to provide you with the best possible advice and great value cleaning equipment. We repair, build, hire, and sell pressure washers. There is nothing we don’t know about how this equipment runs and its range of capabilities. Britclean are more than happy to impart this knowledge to you so that you can make the most informed and best possible choice. Please contact us for pressure washer sales in Stoke-on-Trent, Staffordshire, Cheshire, and the surrounding areas. This entry was posted in Britclean UK and tagged Britclean Commercial Pressure Washers, Karcher Pressure Washers, Pressure Washer Sales Staffordshire, Pressure Washers on February 6, 2018 by Julian Chadwick. Pressure washer hire from Britclean could be the solution to your jet washing requirements in 2018. We have a comprehensive service for hiring pressure washers to give you the power you need to blast away the dirt and grime of even the most challenging cleaning tasks. Whether it’s for an annual one off or periodic deep clean, or something you require daily. There is a pressure washer hire plan for you. Our customers utilise pressure washer hire across many sectors. Industries as diverse as agriculture, haulage and logistics, and food production all benefit from our comprehensive service. Whether you require hot or cold flow, variable pressure options, a robust and independent petrol or diesel powered unit – we’ve got it all. With short and long term hire options from Britclean you can’t go wrong. We have been in the business of industrial cleaning and vacuuming machines since 1978, this longevity is testament to decades of dedicated service and customer satisfaction. We maintain our machines to the highest standards so you can be confident of reliability. In the unlikely event of a breakdown, our team of mobile engineers will come to you to repair the washer at your place of work. If required we will swap it for another one to minimise disruption, allowing you to carry on. We understand that time and cleaning schedules are important and our pressure washer hire will ensure that it’s business as usual! Organising your pressure washer hire is easy, simply contact us with details of your cleaning requirements and we will be happy to recommend the model of machine most suited to the task. Britclean are the regions leading supplier and hirer of pressure washers across Staffordshire, Cheshire, Shropshire, and Derbyshire. Get in touch to find out more today! This entry was posted in Britclean UK and tagged Pressure Washer Hire, Pressure Washers on December 6, 2017 by Julian Chadwick. If you need commercial pressure washer repairs in Derbyshire you’ve come to the right place. We are the go to company for repairs to all types of pressure washers and you will benefit from a replacement pressure washer whilst yours is being serviced. With an immaculate reputation for commercial pressure washer repairs in Derbyshire. Our aim is to ensure that customer satisfaction remains at a premium level. Looking for Commercial Pressure Washer Repairs in Derbyshire? Then choose Britclean! We offer unbeatable prices and spotless service for commercial pressure washer repairs in Derbyshire. Keep disruption to a minimum as our engineer can come to your location and provide a replacement while undertaking repairs. Time is money for your business and your machine will be back in full working order with our professional and prompt service. In repairing brands that we are not currently agents for this translates into peace of mind for you. When your machine breaks down we know that commercial pressure washer repairs in Derbyshire is a priority for you, and we will do our upmost to fix it regardless of the brand. We supply the biggest and most efficient brands on today’s market including Karcher, Nilfisk, Lavor, Comet, Dirt Driver, Cleanwell and Gerni. When you purchase or hire one of our pressure washers we will provide full training with each machine as we acknowledge the risks associated with operating this equipment. Safety comes first, and we like to ensure all users are educated in operating the pressure washers safely. This also helps you understand if the pressure washer is not working to its full capacity and in need of repair. With a massive range of services and products available, we are here to help with all your commercial pressure washer repairs in Derbyshire and more! Contact our professional and friendly team today if you would indeed like to know more regarding commercial pressure washer repairs in Derbyshire. This entry was posted in Britclean UK and tagged Commercial Pressure Washer Repairs Derbyshire, Pressure Washers on November 27, 2017 by Julian Chadwick. Is your pressure washer broken or not working effectively? Has the power gone out of your pressure washer? You may not want or need to buy a new one, but Britclean are here with a full range of pressure washer repairs and services. If your pressure washer has stopped working completely, then we have a longstanding reputation in the field of pressure washer repairs. 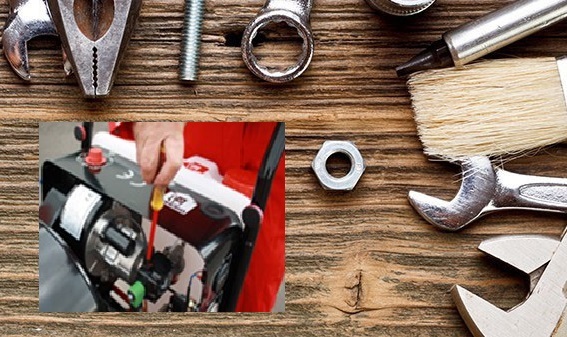 Based from our workshop in Stoke-on-Trent our engineers have the tools, spares, and expertise to get your power washer back to full working order. Maybe you suspect something isn’t working correctly and would like someone to inspect it and give the pressure washer an assessment and service. If it’s an important part of your daily work or for your cleaning jobs outside in the garden, Britclean is here to service and repair your machine. Ever since Cyril Chadwick founded the company back in 1978, pressure washer repairs have been at the centre of Britclean’s services. Whether you have one of our own pressure washers or one by a leading brand like Karcher or Nilfisk. You can either get your machine booked in and bring it to us for a repair, but we also have a mobile service where our engineers can come to your site. This may be preferable as industrial and commercial pressure washers can be large and difficult to transport off site. If you use multiple machines, our mobile engineer can service them in sequence to ensure minimal downtime and disruption. Britclean can carry out all types of pressure washer repairs in Staffordshire, Derbyshire, Cheshire, and Shropshire. We are here to assist domestic and commercial customers to keep their pressure washers in top working condition. To make an enquiry or to book a repair with us please contact us today. This entry was posted in Britclean UK and tagged Britclean Commercial Pressure Washers, Karcher Pressure Washers, Nilfisk Pressure Washers, Pressure Washer Repairs, Pressure Washers on October 4, 2017 by Julian Chadwick. For a comprehensive choice of Karcher pressure washers in Derbyshire, look no further than Britclean. 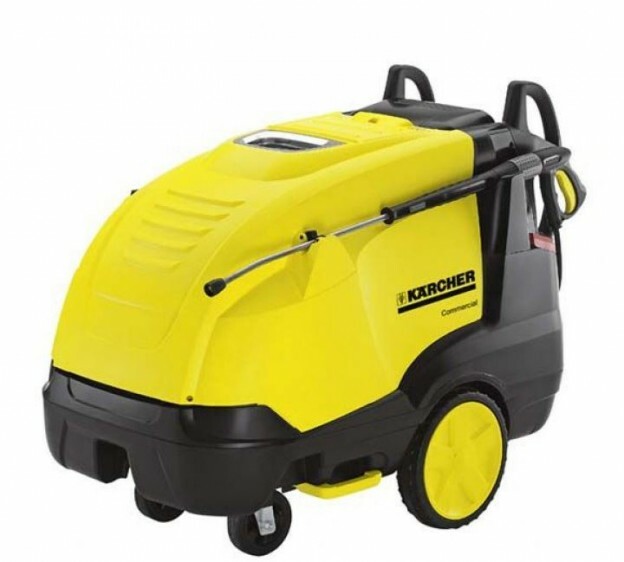 Karcher is a brand with a global reputation as a leader in the field of cleaning equipment. Since introducing the first hot water high-pressure cleaner (the DS 350 steam jet) to the European market back in 1950. They have become renowned for products of clever design, functionality, high build quality and reliability. Britclean are a UK supplier of Karcher pressure washers in Derbyshire, Staffordshire, Cheshire, and Shropshire. For domestic usage, most households in Derbyshire require a pressure washer which is easy to move around and provides a powerful jet of cold water. A Karcher pressure washer of this type draws water from an outside tap, but the fine water spray at a high discharge makes light work of cleaning cars, patios, decking and children’s plastic garden toys. Commercial and industrial uses for Karcher pressure washers in Derbyshire tend to be more robust. Industries like haulage, agriculture, and construction and vehicle repairs have some tough dirt and grime to tackle. Karcher has professional standard power washing equipment to deliver a bigger velocity of water jet. Diesel fired internal boilers heat the water economically and detergents can be added where deep cleaning is required. The combination of hot water and detergents are sometimes needed within commercial and industrial environments to break down chemical compounds, blasting away debris and killing germs in the process. An array of attachments including extension hoses, turbo nozzles, extending lances, foam injectors, sand blasting kits, low pressure injectors, detergents, and rotary floor cleaners make for a highly adaptable cleaning system. Britclean are the premier suppliers of Karcher pressure washers in Derbyshire. Wherever you are in the county, whether it is for domestic or commercial use, make Britclean your first choice for help and advice in choosing your new Karcher pressure washer. To find out more please get in touch. This entry was posted in Britclean UK and tagged Karcher Pressure Washers, Karcher Pressure Washers Derbyshire on September 15, 2017 by Julian Chadwick. If you are a business or large scale organisation looking for commercial pressure washer hire in Cheshire and the Wirral. You can call on over three decades of pressure washer hire to the commercial sector in this region. From Wallasey to Chester, to Stockport, Macclesfield, and Crewe you can count on us to provide the right type of power washer to suit your cleaning requirements. We provide pressure washers to all types of industries and we have all variety of specifications of pressure washer to meet specific demands. With the ability to blast away industrial dirt and grime we have jet washers which can discharge powerful sprays of hot or cold water. You can control the velocity and mix detergents depending upon your cleaning requirements. Our large scale machines are mounted on a sturdy frame with a set of wheels and for manoeuvrability. We will give you a usage and safety briefing to ensure that you can operate your commercial pressure washer effectively and safely. When you hire a commercial pressure washer in Cheshire from Britclean you will receive a first class machine backed by first class service. Short and long term hires are available and in the unlikely event of a maintenance issue with your hire, we will get a replacement pressure washer to you or send an engineer to fix it as a matter of urgency. We understand that you need to complete your cleaning project on time, or you rely on your power washer to complete essential daily tasks. Therefore, you need a pressure washer provider with a proven record – and that’s Britclean! To enquire about commercial pressure washer hire in Cheshire, please contact us today. This entry was posted in Britclean UK and tagged Commercial Pressure Washer Hire Cheshire, Industrial Pressure Washer Hire Cheshire on August 25, 2017 by Julian Chadwick. Pressure washer hire is available all year round from Britclean. But Summer is a great time of year to hire a pressure washer to get those heavy duty cleaning jobs done. Driveways, patios, and decking can all be blasted with powerful jets of water to get them looking fantastic for summer parties or barbecues. If you’re putting your property up for sale, use Britclean’s pressure washer hire service to help you get the outside of your house sparkling for viewings. Businesses can also benefit from pressure washer hire too. Perhaps you’ve got a fleet of vehicles in need of a hose down. Maybe you have taken on the lease to a business premises and it needs sprucing up before welcoming your customers. In factories and production plants the summer shut down is the time for maintenance. Our pressure washer hire is a perfect flexible solution to cleaning up without the expense of buying. Being based in Biddulph, our hire and repair shop is ideally situated for supplying pressure washer hire in Stoke-on-Trent and the adjacent towns of Leek, Uttoxeter, Newcastle-under-Lyme, and across Staffordshire. We also provide a hire service to customers in Cheshire, Derby, and Shropshire too. Within our pressure washer hire portfolio, we have a choice of the best brands including Karcher, Nilfisk pressure washers and Ehrle. There are pressure washers which can blast hot or cold water, depending on what you are cleaning. Here at Britclean we also manufacture our own machines and our technicians are experts at servicing and repairing pressure washers. You can be confident you will be getting the best quality equipment for your pressure washer hire. Pressure washer hire from Britclean (UK) Ltd is easy. We have pressure washers to suit all types of cleaning jobs, both indoors and outdoors. To find out what would be the right pressure washer for your requirements, please contact us for more. This entry was posted in Britclean UK and tagged Pressure Washer Hire, Pressure Washers on July 20, 2017 by Julian Chadwick. Karcher pressure washers are all about cleaning performance. They have a wide variety of models ideally suited to your cleaning requirements. The key to successful cleaning and making the job as easy as possible is by matching the water pressure and output volume. When these are synchronised, seemingly difficult tasks become a breeze! Whether you are carrying out general cleaning tasks around your home, washing vehicles, or taking on a major cleaning challenge at work. There is a Karcher pressure washer perfectly suited to the job. Isn’t it about time you discovered the cleaning power of Karcher pressure washers from Britclean? Britclean are pressure washer experts. The business was founded on the inspitational cleaning performance of a pressure washer back in 1978. Since then, we have accrued an unrivalled knowledge and experience of these amazing pieces of equipment. This also applies to Karcher pressure washers. You can enjoy the first class cleaning power of the Karcher Commercial and Professional Pressure Washer ranges. Giving you the choice of hot and cold jet washing with different power capacities. Karcher is one of the most popular brands for cleaning equipment due to their performance, build quality and choice of models. 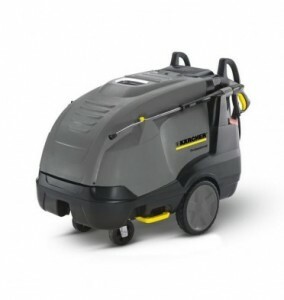 Britclean have a fantastic range of Karcher pressure washers for you to choose from. You have the option to buy or hire from us. For impartial advice on Karcher pressure washers you have come to the right place with Britclean. Our team of experts are on hand to help you find the right machine for your cleaning requirements. You can buy Karcher machines and we also have flexible hire options, too. For further information and to enquire with us, please get in touch today. This entry was posted in Britclean UK and tagged Karcher Pressure Washers on July 10, 2017 by Julian Chadwick. 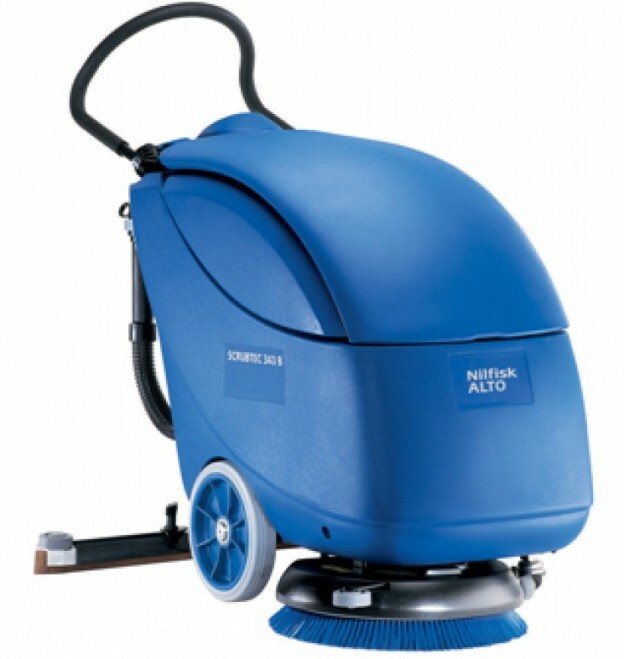 All manner of floor cleaning equipment is available to buy or hire from Britclean. Whether you need to vacuum, power wash, clean, or polish, we have the equipment for you. We supply top brands like Karcher, Nilfisk, Ehrle, and Interpump. But did you know that we also have our own Britclean range? These are powerful floor cleaning equipment machines built in our workshops in Staffordshire. To efficiently clean flooring on a large scale you need the right tools and equipment for the job. Keeping an interior or exterior floor surface clean is essential for good health and safety practice. Whatever your workplace, from offices, shops, warehouses, farms, garages, kitchens and more. We have supplied the equipment and detergents to banish grime, dust, and dirt across the UK. Apart from the safety obligations of a clean floor, the other main benefit is that it makes a positive statement. If you are in a business where your customers come to visit you at your premises, a clean shiny floor helps to create a great first impression. Looking after your infrastructure will give staff and customers confidence. Start with the ground up and invest in floor cleaning equipment from Britclean. We are experts in floor cleaning equipment with decades of experience. More importantly, we are a family owned business with a down to earth approach. When you get in touch with us you can be confident that we will do our utmost to match you with the right machine for your requirements. Customer service is at the heart of everything we do, so you can expect honest independent advice and support when you buy or hire floor cleaning machines from us. Contact us today and we’ll be happy to help you. This entry was posted in Britclean UK and tagged Commercial Vacuum Cleaners, Floor Cleaning Equipment, Pressure Washers on April 21, 2017 by Julian Chadwick. Spring is traditionally the time to give your home or business premises a good clean. If a broken pressure washer hampers your cleaning progress, then Britclean specialise in pressure washer repairs. Whether your pressure washer has been sat dormant in the shed or garage all Winter and you have now found that it has a fault. Or, maybe you rely on yours each day to keep vehicles and work areas clean. When you want to get your jet washing back to full power, then you need Britclean! We have engineers at our Stoke based workshop with the skills and parts to repair all kinds of pressure washers, vacuums, and floor cleaning machines. Our belief is that if you buy or hire machines from us you can also expect the aftercare services to keep your pressure washers in good working condition. If you are one of our hire customers, or have part of our and you experience a pressure washer breakdown, then we can dispatch an engineer to come and undertake pressure washer repairs onsite. Being based in Stoke-on-Trent we are ideally situated to carry out pressure washer repairs covering Staffordshire, Cheshire, Derbyshire, and Shropshire. We are a designated dealer for brands like Karcher, Nilfisk, Ehrle as well as our own purpose built machines. You can be confident in decades of experience in repairing cleaning equipment of all kinds, going back to the founder of the company Cyril Chadwick in 1978. Booking pressure washer repairs with us is easy. Call us on 01782 515535 where a member of our expert and friendly team will be happy to assist you. Alternatively, if you would like to send us a message via our online enquiry form, please don’t hesitate to contact us today. This entry was posted in Britclean UK and tagged Pressure Washer Repairs on April 14, 2017 by Julian Chadwick.